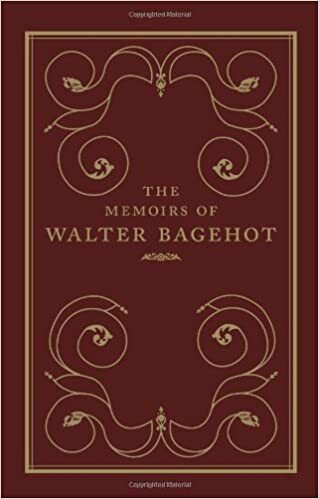 Walter Bagehot (1826–1877) was a prominent English journalist, banker, and man of letters. For many years he was editor of The Economist, and to this day the magazine includes a weekly “Bagehot” column. His analyses of politics, economics, and public affairs were nothing short of brilliant. Sadly, he left no memoir. This gap has now been filled by Frank Prochaska in a work of historical reconstruction. This book tells the intriguing and paradoxical story of a nation that overthrew British rule only to become fascinated by the glamour of its royal family. Examining American attitudes toward British royalty from the Revolutionary period to the death of Princess Diana, “The Eagle and the Crown” penetrates the royal legacy in American politics, culture, and national self-image.Frank Prochaska argues that the United States is not only beguiled by the British monarchy but has itself considered the idea of a presidency assuming many of the characteristics of a monarchy. Read more. Few subjects bring out so well the differences between ourselves and our ancestors as the history of Christian charity. In an increasingly mobile and materialist world, in which culture has grown more national, indeed global, we no longer relate to the lost world of nineteenth-century parish life. Today, we can hardly imagine a voluntary society that boasted millions of religious associations providing essential services, in which the public rarely saw a government official apart from the post office clerk. Read more. As the constitutional importance of the monarchy has declined, the British royal family has forged a new and popular role for itself as patron, promoter, and fund-raiser for the underprivileged and the deserving. This book-the first to study the evolution of the “welfare monarchy”-tells the story of the royal family’s charitable and social work from the eighteenth century to the present. Drawing on previously unused material from the Royal Archives, Frank Prochaska shows that the monarchy’s welfare work has raised its prestige and reaffirmed its importance at the same time that it has brought vitality and success to a vast range of voluntary activities and charities. Read more. Being born a member of the royal family is not a choice a person can make. It is not a career that can be decided upon and it is not something that can be done in isolation from the outside world. People have always been interested in the lives of the royals, past and present, and how they each have coped with being in the most famous family in Britain. Read more. The British monarchy is one of the most durable institutions in the world. For almost a thousand years (with only one brief interlude) it has served as the formal head of the British state apparatus and has occupied its subjects’ imaginations to a profound extent. Frank Prochaska takes a close look at the relationship between monarchy and its enemies since 1750. He considers the challenges that monarchy has faced and the reforms and reinventions they have forced on this apparently solid and timeless feature of the British constitution. Read more. “This excellent introduction to voluntarism appears at an opportune moment. After a long period of decline voluntary agencies are once again capturing attention. The virtues of voluntarism are being extolled by our political masters to undermine public confidence in collectivism, while voluntary action has also emerged as a major defence mechanism among the advocates of the institutions of the welfare state. Frank Prochaska shows that voluntarism only momentarily declined.” Read more. British hospitals and their administration have changed dramatically since the 19th century, when the provision of medical care depended very heavily upon philanthropic bodies. The King’s Fund was the leading charitable institution for the defence and development of London’s voluntary hospitals before the creation of the National Health Service. Since 1948, it has worked alongside the NHS and has sought to promote good practice and innovation in health care through grants, training, and a range of other services. This book places the King’s Fund in the wider context of the history of philanthropy and social provision. It provides an illuminating analysis of the evolution of the relationship between the voluntary and public sectors in the 20th century and points to the continuing importance of voluntary organizations to the nation’s health and welfare. This study analyses the role of women in nineteenth-century English philanthropy, and the effect that their charitable work had on their lives and expectations. Based on a wide range of literary and statistical evidence, it investigates their motives and methods against the backdrop of contemporary attitudes towards women. Since its publication in 1980, it has become something of a classic of women’s history.